Washington, DC is in the midst of a modern-day renaissance. As international and American investment creates more game-changing developments, and as neighborhoods sprout new restaurants and attractions, DC is becoming even more exciting and event-worthy. The Kennedy Center’s $175 million expansion project, the REACH, will be open to the public on September 7, 2019. New offerings include 72,000 square feet of performance and events space, 130,000 square feet of landscaping and gardens, terrace seating for up to 1,600 people and a scenic walkway leading to nearby monuments and memorials. The 2.2 million-square-foot LEED sustainable development will create three new city blocks between Union Station and Capital One Arena. The mixed-use $1.3 billion development will open in phases, with its first delivery in 2018 and schedule completion in 2022. Capital Crossing will feature five mixed-use buildings on a seven-acre site, totaling 2.2 million square feet and 70,000 square feet of retail space. 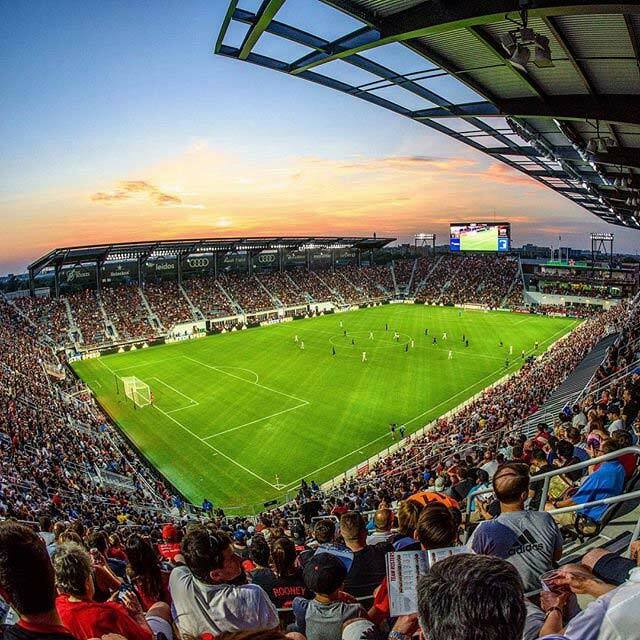 The new home of Major League Soccer’s D.C. United is a $300 million LEED Gold certified stadium at Buzzard Point in Southwest that opened in summer 2018. The venue seats 20,000, includes 31 luxury suites and boasts 500,000 square feet of mixed-use retail and event space. Phase I of this $2.5 billion mixed-use development opened in October 2017. Phase II broke ground in early 2019 with an estimated delivery of 2022. It will feature an additional 1.15 million square feet of mixed-use development, including office, residential, marina, and retail space, as well as parks and public spaces, across an approximate half mile of the waterfront. Visitors can still enjoy The Anthem, a 150,000-square-foot music venue that also serves as a convention facility, with flexible capacity up to 6,000. 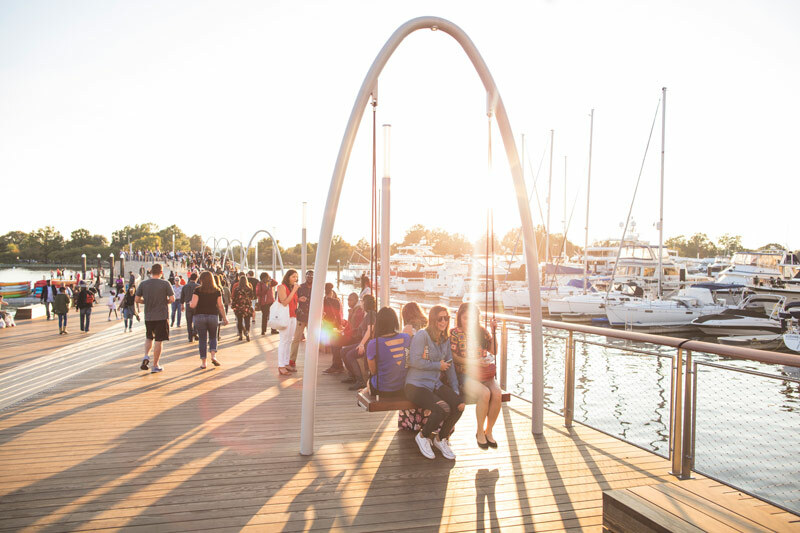 The Wharf currently offers 3.2 million square feet of hotel and retail space, rentable waterfront piers and a water taxi service to and from Georgetown and Old Town Alexandria. Restaurants currently total over 20, including offerings from Fabio Trabocchi, Mike Isabella and Nicholas Stefanelli. Spread across 10 acres downtown near the Walter E. Washington Convention Center, CityCenterDC features a wealth of retail and dining options. Shops include Burberry, kate spade new york and Louis Vuitton, while restaurants like Del Frisco’s Double Eagle Steakhouse, DBGB Kitchen & Bar and Centrolina satisfy taste buds.Phase II opened in spring 2019 and includes 30,000 square feet of additional retail space, including a Tiffany & Co., and the $250 million, 360-room Herzog & de Meuron-designed Conrad Hotel with a restaurant brothers Bryan and Michael Voltaggio. The Construction began in September 2018 to reimagine the 190-acre campus and transform the fields of nearly 27 acres of asphalt into three new state-of-the-art artificial turf fields with community amenities. The $32 million five short-term program elements are part of restoring the Campus as one of the District's original sports and entertainment corridors in the city. The fields are estimated to open in late 2019. The RFK Campus redevelopment project will continue over the next two to five years including a market hall, three pedestrian bridges and more. A pilot project aimed at inspiring social change, this new global hotel brand debuted with a 209-room property in downtown DC and a co-working space for 370 members. An on-site studio, Eaton Workshop offers a speaker series, podcasts, artists and other programming. Residence Inn features 147 rooms, while Courtyard by Marriott features 357 rooms. The two hotels are adjacent to the Walter E. Washington Convention Center and feature a unique rooftop terrace and versatile event space. 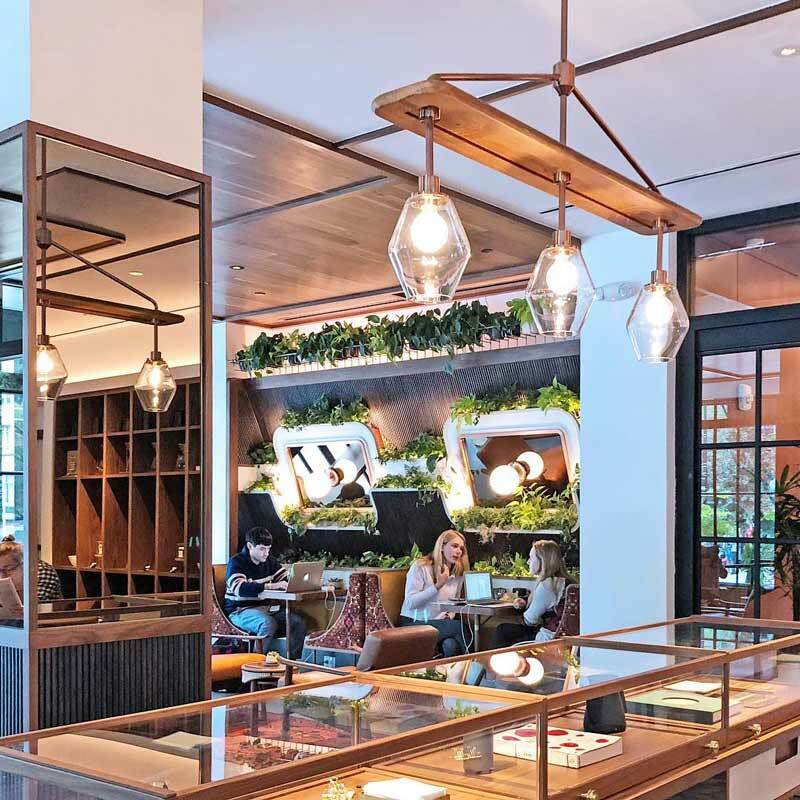 Marriott International, Inc. brought its millennial-minded concept to the District with this 200-room hotel with a rooftop lounge. The Moxy brings a chic aesthetic and affordable pricing to downtown DC. A 360-room hotel from Hilton Worldwide adds more luxury to CityCenterDC. Features include two outdoor terraces, a rooftop bar, conference rooms and 30,000 square feet of luxury retail space. Located at L’Enfant Plaza between The Wharf and the National Mall, this renovated property re-opens with 367 rooms, 23,000 square feet of meeting and event space and a grand ballroom that can accommodate over 600 guests. The multimillion-dollar hotel transformation of The Dupont Circle Hotel is led by Bernie Gallagher, chairman of The Doyle Collection. It will relaunch in spring 2019, complete with a new bar, restaurant, and lobby, along with 327 rooms and terrace suites, including one of the largest penthouses in Washington DC. The Georgetown hotel closed in October 2018 to begin renovations, including the addition of six neighboring townhouses that will offer a residential experience and a new restaurant, CUT by Wolfgang Puck. Additionally, a new bar and lounge will welcome guests in the hotel lobby as well as atop the hotel on a deck overlooking Georgetown. Both areas will offer beverages such as custom cocktails and food items. An intimate 14-seat private dining and meeting room will also be available for special events. The $50 million renovation will reimagine the W Washington DC’s guest rooms and public spaces. The hotel’s 317 guest rooms and suites will include renovations such as boutique-window-style closets and custom décor that references local history while the 12,000 square feet of meeting and event space will be redesigned, including updates to the hotel’s ballroom, the Great Room. The hotel is also opening two new signature food and beverage venues – a ground-floor restaurant and a renovated POV rooftop bar and lounge. Thompson Hotels, the luxury lifestyle flag, will build a 225-room hotel with a fitness center, 4,000-square feet of meeting space, a street-level restaurant and rooftop bar adjacent to Bluejacket Brewery in the heart of the Navy Yard. This will be the first full-service property for the neighborhood in SE DC and is expected in 2020. DC's first SLS branded property is expected to open at 5th and Eye Street NW in late 2020. The design-focused 12-story building will house a 175-room property on floors 2-8. The mezzanine and cellar will include amenities and a 5,500-square-foot ballroom. A Dutch hospitality brand billing itself as "affordable luxury," is expected to open at 5th and E streets SW with 252-rooms. Features include and open workspace with iMacs, a fitness and yoga studio and a rooftop lounge. A Paris-based chain expects to open its first of five planned North American hotels in DC near Union Market. The brand embraces neighborhood culture, programs, art talks and regular concerts in its lobbies. The 178-room, art-focused property will have, true to brand, an artist-in-residence program, neither fees for Wi-Fi nor early/late check-out as well as a Commons Club dining room. A 190-room hotel has been proposed for the corner of 6th and K streets NW near Mount Vernon Triangle. The property mines inspiration in its design and service from Europe. North American room service, for example, has been swapped for tapas-style small plates. There is no confirmed delivery date. The 55,000-square-foot building opened fall 2018 in Judiciary Square. 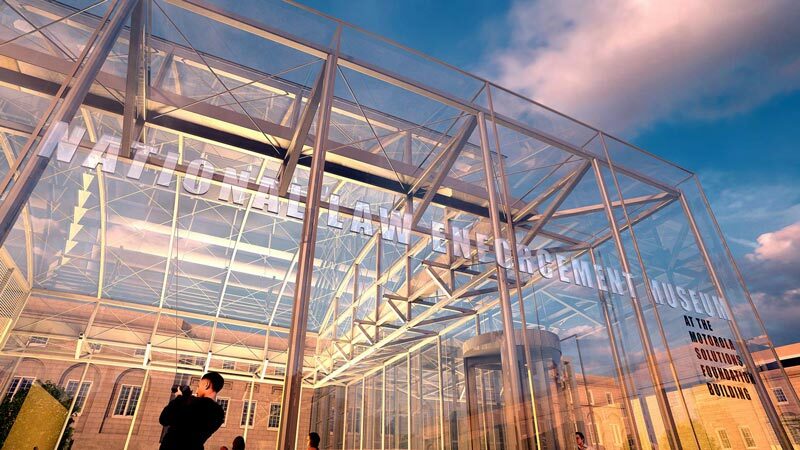 The museum uses interactive exhibits, engaging programming and historical artifacts to connect visitors to the American law enforcement experience. One of the city’s most popular museums moves from Penn Quarter to L’Enfant Plaza and features 140,000 square feet, more than double the space of the original building. A phased opening began with new indoor/outdoor event space with sweeping city views that opened in September 2018. The full museum will be complete in spring 2019. The National Air and Space Museum began its major renovation of the building on the National Mall in December 2018. The revitalization of the building’s exterior and infrastructure, and the transformation of all 23 exhibitions and presentation spaces, will take approximately seven years and is anticipated to be completed in 2025. Phased gallery closures began December 2018 with some reopening in 2022, including Destination Moon, a redesigned exhibition of the popular Apollo missions.The museum expects most of the eastern galleries will remain open until 2022, when the first refurbished exhibits come on view. The 23-mile Silver Line Metrorail extension is the largest expansion of the area’s Metrorail system in over 20 years. 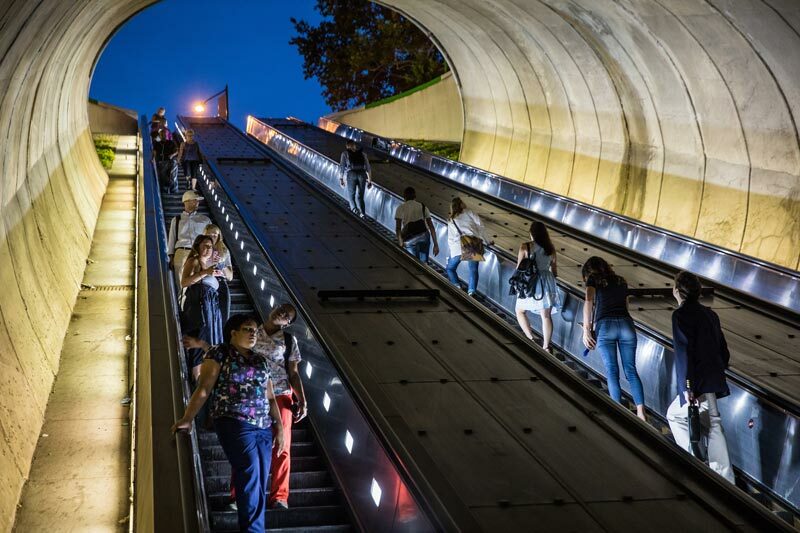 Phase 1, completed in 2014, included new stations in McLean, Tysons Corner and Reston. Phase 2, expected to be finished by 2020, will connect DC to Dulles International Airport. Construction of two new security checkpoints with 28 additional screening lanes and a new 14-gate concourse is in full swing at Reagan National Airport. The $1 billion investment will help with passenger safety, security and efficiency. The checkpoints and concourse with jet bridges and concessions are scheduled to open in 2021. Since February 2019, the DC Circulator buses are free indefinitely. Additionally, Mayor Bowser announced an investment of $122 million in a new transit way on K Street NW, one of the DC Circulator's primary east-west routes.